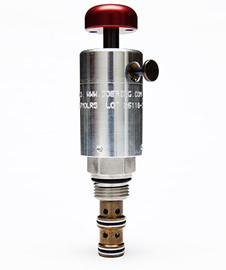 Doering Company's redesigned manual cartridge valve now includes a zero-leak option. Clear Lake, Minn. — Doering Company has redesigned its manual cartridge valve to include a zero-leak option. This is similar zero-leak technology that was integrated in the Doering valve used for manual fire suppression in the International Space Station. Doering announces their newly designed website at www.doering.com. The new mobile-friendly website offers customers optimum viewing on any mobile or desktop device. 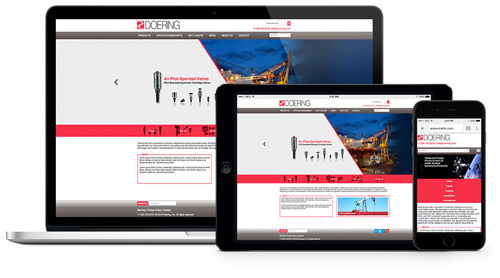 The cleaner, updated contemporary look supports the innovative, high-performance market position of Doering. The website features a user-friendly dealer locator and quote request. Doering will continue to add resource information, such as application information, case studies, white papers, articles and more. One click to our specification sheets for more information.